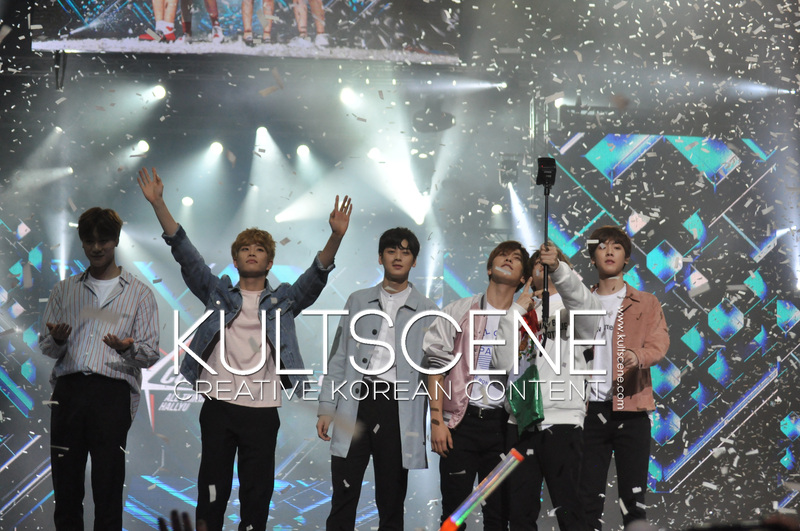 When KCON arrives in a new city for the first time, they generally hold just one concert night. Not in Mexico City, though. 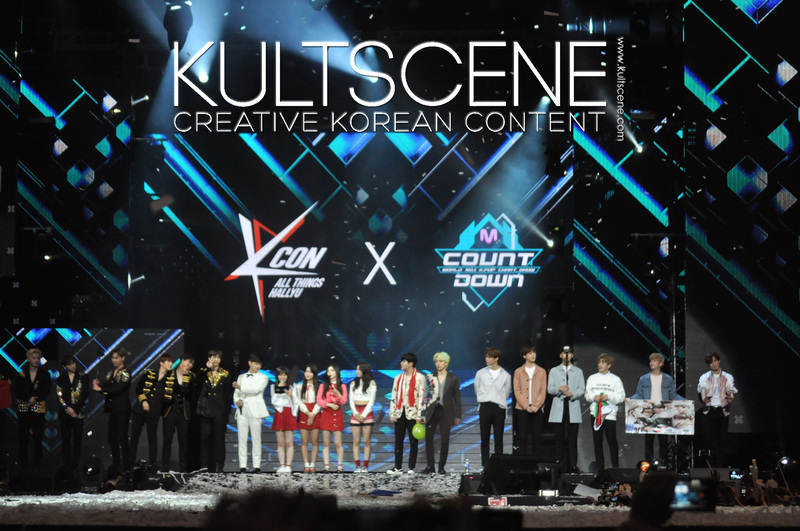 For the inaugural installment, KCON 2017 Mexico hosted two M! Countdown shows. And while more fans showed up the day prior to support BTS, concertgoers there to see Monsta X, Red Velvet, Astro, INFINITE H, and Eric Nam (yes, again!) also witnessed an awesome show on Mar. 18. The first artist up for the second and last night of KCON Mexico was Astro, who started out their set with “Breathless.” Their stage’s graphics were a huge pop of color, which complemented their concept perfectly, as well as their songs. And other than singing “Only You” and a ballad, they performed “Should’ve Held On,” revealing that it was the first time they’d perform the song. For KCON Mexico’s second night, Eric Nam came back to serve primarily as the official MC. But after Astro, Red Velvet’s Irene and Seulgi came out to present the next performers: fellow member Wendy and Eric. The singers performed their SM Station song “Sweet Love,” and said it was the first time they’d performed it together. This performance lead to Eric’s solo performance, which meant that, though not officially announced, he performed both KCON nights. And even if he didn’t deliver a full set, he performed “Can’t Help Myself” and “Heaven’s Door,” which he didn’t do the previous night. For the latter’s performance, however, he didn’t have a guest rapper to stand in for Loco this time and just danced through it. And just like the first night, the “Piñata Time” segment made a comeback. Before the piñata spun, Monsta X were cracking jokes and stating their preference for the outcomes. Jooheon proudly declared, “I like kiss time,” in English. The winning mission, however, was love song, to which they sang “White Sugar.” But their performance had to end on a high note with just as much power as they’d started so they ended with “All In,” much to the delight of screaming fangirls at the mere sight of their exposed abs. 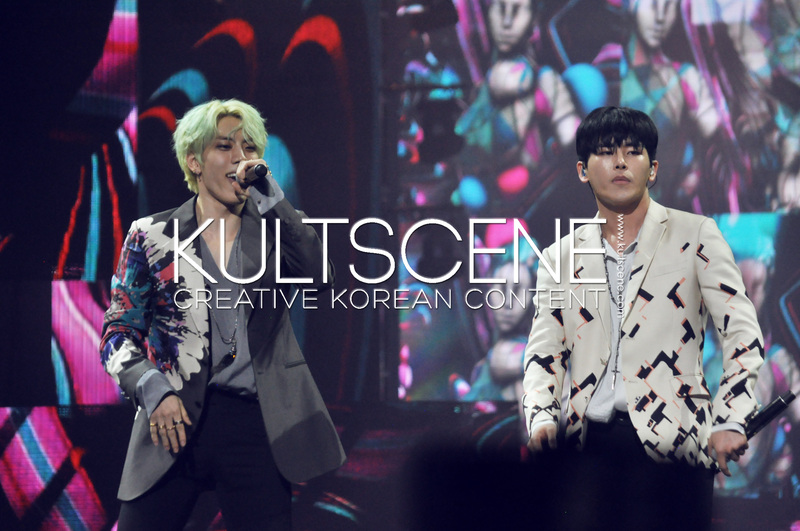 KCON Mexico had a sudden 180 degree switch up as the stage went from dark and manly-looking to an explosion of color and quirky graphics. Red Velvet sans Joy, who went back to Korea after their performance at SXSW in Texas for her drama shooting, immediately went into “Rookie” and “Dumb Dumb.” After this, the group gave — or at least attempted to — their greeting to the audience, but they were caught off guard an intense furor from the fans who chanted their names and screamed at the top of their lungs. The four girls looked both surprised and touched by the reception. They weren’t even the headliners but their fans had shown up in large numbers to support them. This segued into “Piñata Time,” where their winning mission was “photo time.” Red Velvet gave the crowd many cute poses which, again, were received with loud approval. 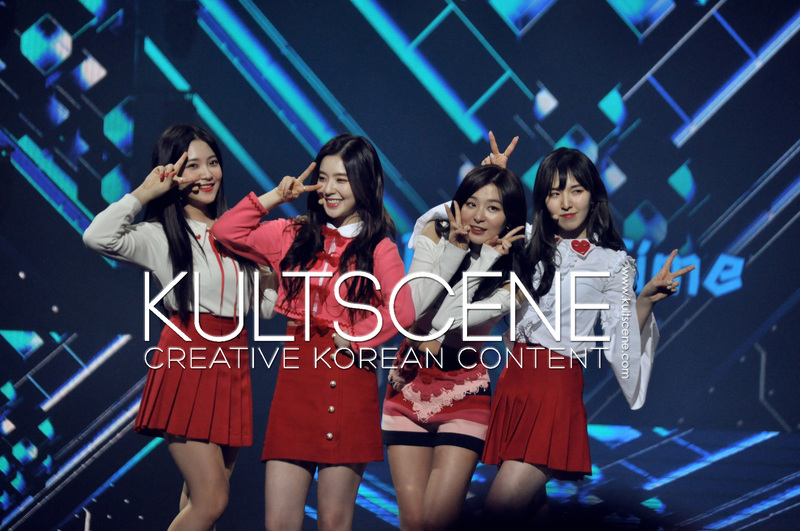 To close their set, the group’s final song was “Russian Roulette.” Even missing a member, Red Velvet did not miss a step or note, and covered Joy’s position in the choreographies. 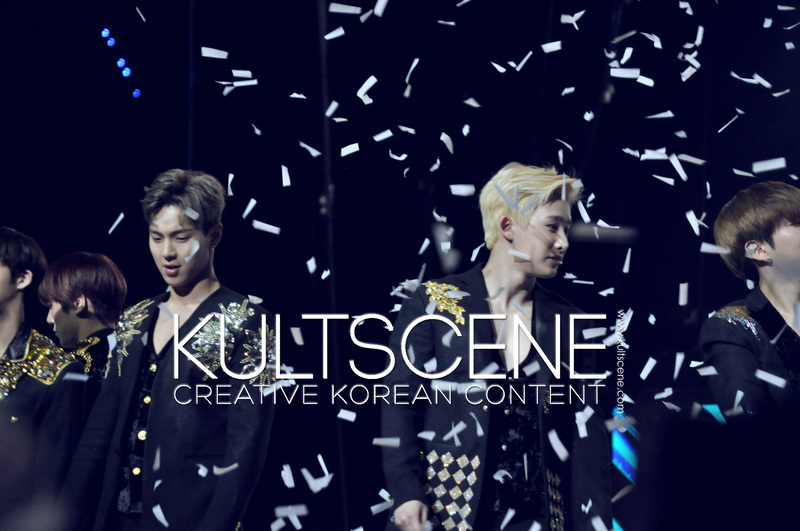 One of the key elements of every KCON M! Countdown show are always the special stages. Eric talked about the massive popularity K-dramas have in Mexico, and mentioned a few of the most popular there. This talk lead to the aforementioned special stage. Singing “Beautiful” from the most popular drama in Mexico Goblin, Monsta X’s Kihyun gave an ethereal rendition of Crush’s heartfelt song. The last act of the night was INIFINITE’s rap line subgroup Infinite H. Their set started out with a video message from the rest of the members both introducing the duo and apologizing for not being there as a whole. As the video ended, a few purple spotlights appeared and Hoya came out with an interpretive dance rendition of Lukas Graham’s “7 Years.” Dongwoo followed up, together with their dancers, dancing to a Bruno Mars song. 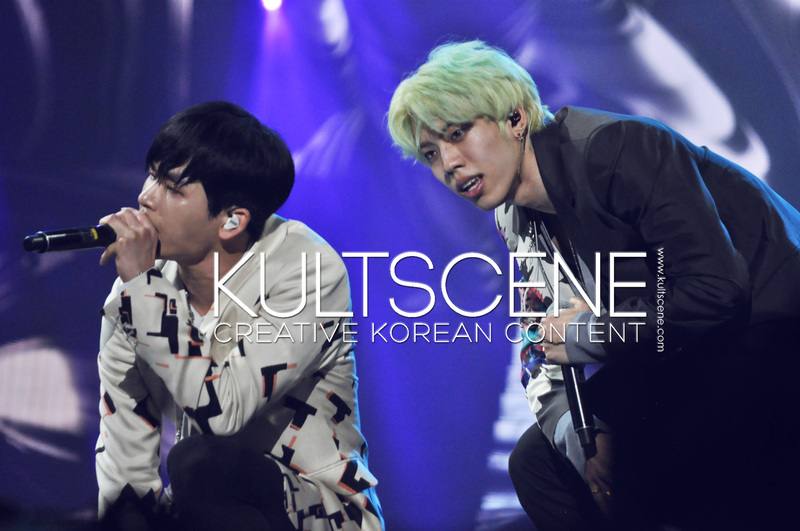 Infinite H kicked off their set with their latest release “Pretty,” which the audience waved their hands and sang along to. Even though the crowd didn’t know all of their songs, they still danced and swayed to “Without U” and “Special Girl.” Moreover, all the fangirls squealed with “Sorry I’m Busy,” one of their most rap heavy songs, to which they delivered plenty of body rolls. And with that, the concert came to a close. Unlike the previous night, all the groups and Eric came out to wave the crowds goodbye. The INFINITE H members danced and grooved to other group’s songs, especially Monsta X. Astro, for their part, sang along to Red Velvet’s “Rookie” while pointing at themselves for being the super rookies they are. The all held hands and bowed out as millions of confetti dropped upon the audience. 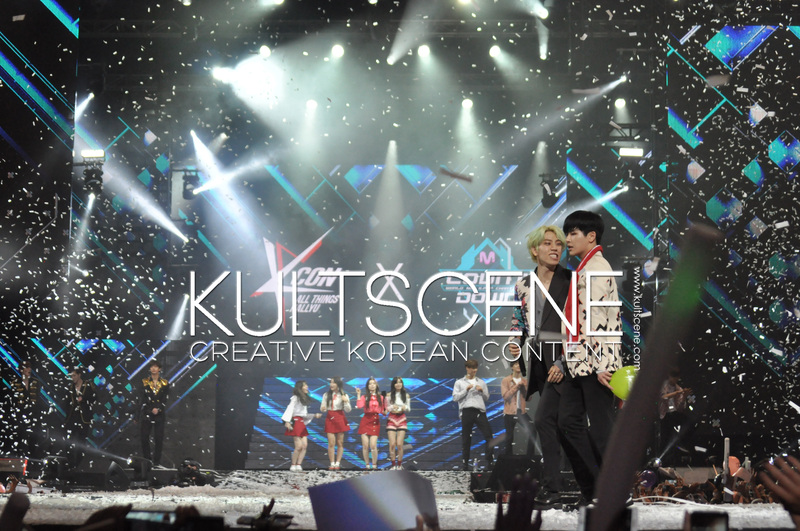 Most groups exited the stage after a short while, but INFINITE H stayed back to keep dancing and hug each other and deliver plenty of fan service. Considering it was the first installment, KCON Mexico surely delivered. They brought A-list groups who delivered top notch performances. Eric Nam deserves extra kudos for his Spanish skills, and Red Velvet gets an A for effort. INFINITE H and Monsta X gave their all in their choreographies, as did Red Velvet, whilst melting fanboys and girls’ hearts. And, of course, Astro made us cringe from the cuteness, proving to be a fun group to stan. KCON Mexico ended setting the bar high. Higher than Los Angeles and New York did in their first installments, that’s for sure. We can’t wait to see what’s in store for next year’s show, as well as the upcoming LA and NY conventions. 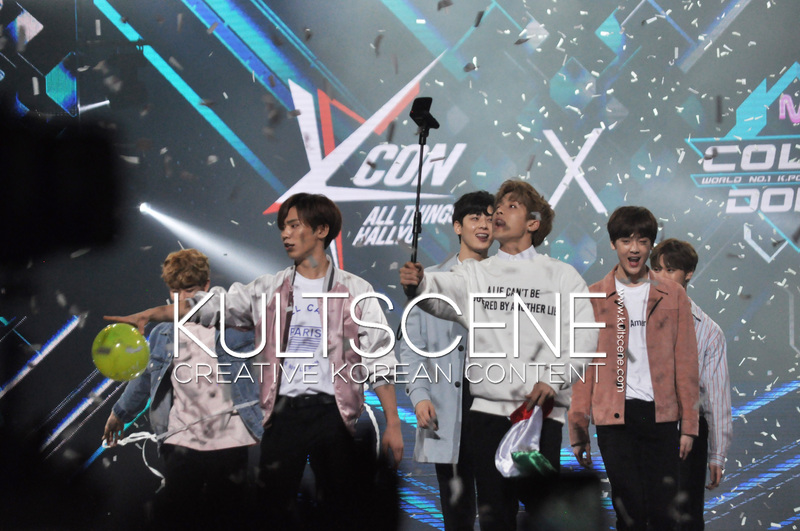 KCON Mexico set the tone for an awesome year and we can’t wait for the US KCONs this summer. 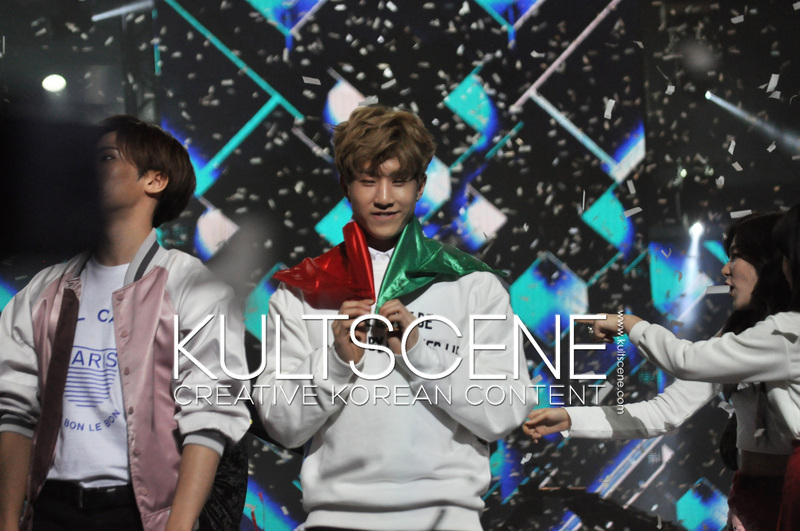 What’s your favorite KCON Mexico act? 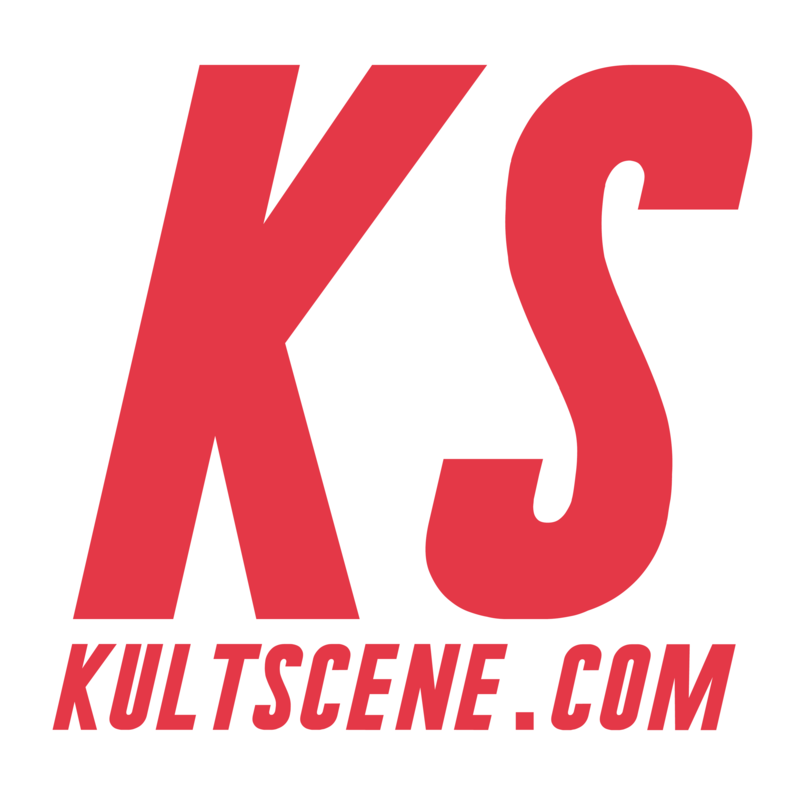 Tell us what you think in the comment section below and be sure to subscribe to the site and follow us on Facebook, Twitter, Instagram, and Tumblr to keep up with all of our posts.